Fr. a: Lid or lamp base? Shallow curved profile, thickening in the middle where roughly circular, flattened and slanted knob projects from convex surface, dimpled in middle (max. W. 0.017, H. 0.007 m). p.W. 0.460, p.H. 0.160 m.
Fr. b: One small, convex body sherd. max. p.dim. 0.036 m.
Fr. 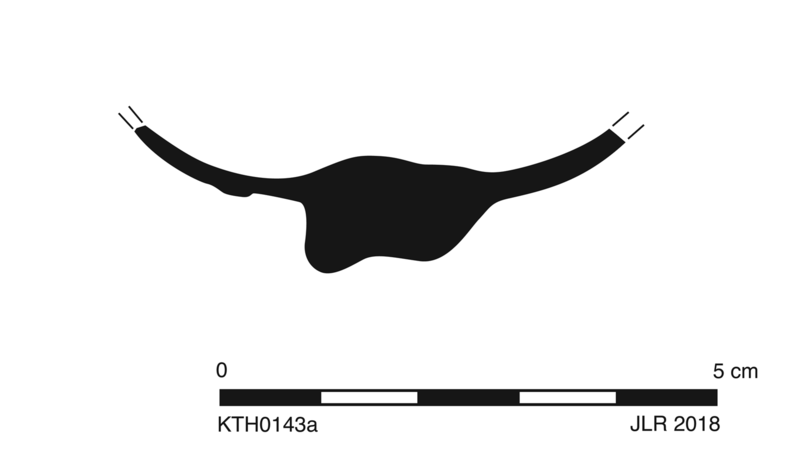 c: One small, convex body sherd. max. p.dim. 0.037 m.
Fr. a: Light blue (PMS 623C), semitranslucent. Frequent pinprick to small, spherical bubbles, some aligned diagonally. Fr. b: Bluish colorless (PMS 7443C), transparent. Fine material. Fr. c: Light green to greenish colorless (PMS 7485C), transparent to semitransparent. Fine material. 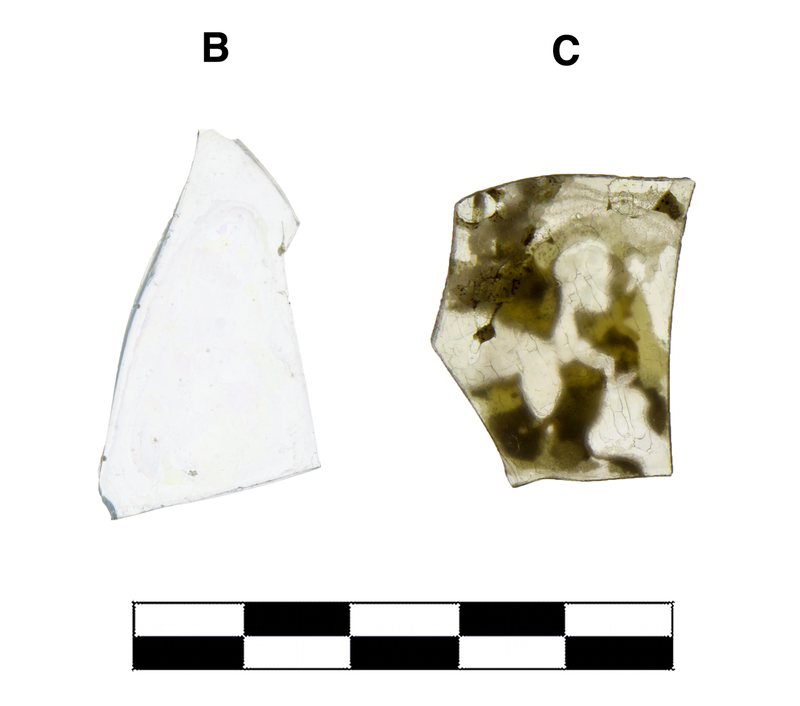 One fragment (a) preserves most of central part broken all around; two nonjoining fragments (b, c) from different vessels. Slight to moderate, extensive iridescence, crizzling, and black enamel flaking; moderate, extensive pitting (a) and specks of lime encrustation (c).